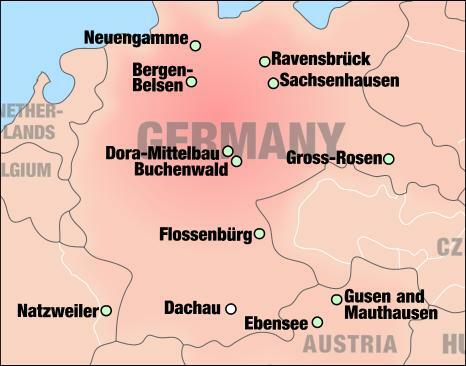 Buchenwald was a Class II concentration camp for political prisoners, who were mainly Communists. It was not a death camp where Jews were brought to be systematically killed. Buchenwald was for hard-core anti-Fascists who were considered more dangerous to the German state than the political prisoners sent to Dachau or Sachsenhausen, which were both designated as Class I camps. General Patton also mentioned that Buchenwald had "a number of allegedly eminent physicians" who were performing "some very abominable experiments on their fellow inmates." The only medical experiment that Patton cited as an example was one in which 800 prisoners in the camp were "inoculated with anti-typhus vaccine and then inoculated with the typhus bug." The vaccine was a failure, and 700 out of the 800 died of typhus. America had a typhus vaccine and all the American soldiers had been vaccinated before going overseas. According to the March 1945 issue of the Red Cross monthly bulletin, American soldiers held as POWs in German camps were given booster shots of typhus vaccine, which was delivered by the Red Cross and distributed by the Germans. Since this vaccine was only given to Americans, the Germans were working to develop their own vaccine for the rest of the prisoners and for the German Army.